This gluten free Elderflower and Pistachio cake was the perfect cake for a spring birthday and family gathering. April and May is full of family and friends birthdays for us. It’s my favourite time to celebrate, as it’s always getting a bit warmer, the blossom is out, leaves are appearing and are a lovely light green colour. And this year in the UK we’ve had a bit of a treat, it’s been much warmer than expected and the sun has been shining for about a week now. 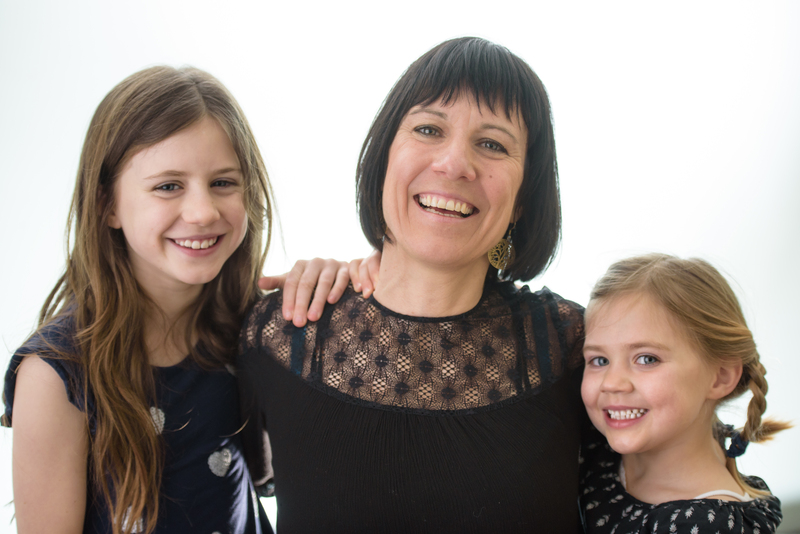 We just had the kids Grandma’s birthday which is always a bit of a get together with my partners family. 5 of the youngest cousins have less than 4 years apart from eldest to the youngest so they have a lot of fun and bonding time. The spring flowers are just coming out in Grandma’s beautiful country garden, and we collectively put on a bit of a feast. I usually make the cake because of the the girls coeliac disease and egg allergy, but this is the first year that we have been able to make a cake with egg in. My eldest has been through an egg desensitisation programme for over 6 months so can now have baked egg. The recipe I chose had 3 eggs in baked for 40 – 45 minutes which meant it should be totally safe for her. It’s always a bit of a risk still as she has had a bit of a reaction if the egg isn’t cooked enough or she has too much. So we carry around the antihistamine just in case. Fortunately she was fine and she had double portions of the cake. 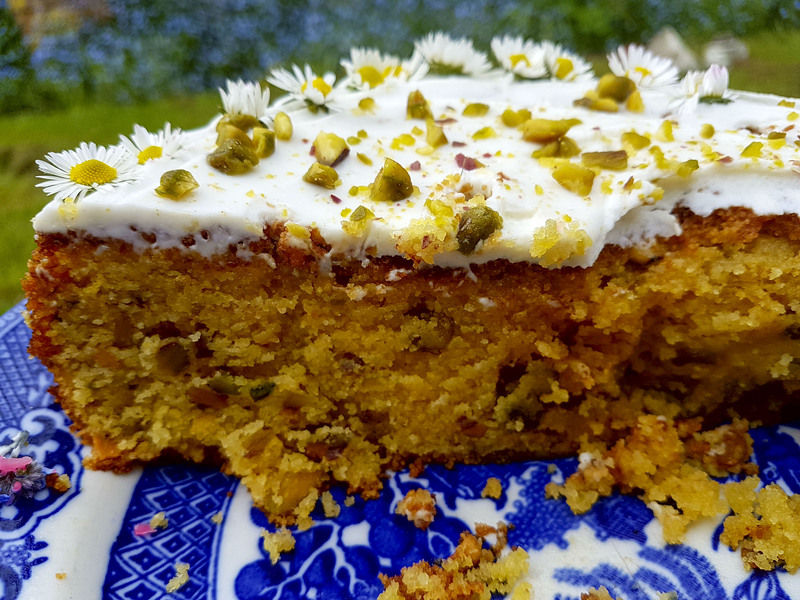 I found this elderflower and pistachio cake from a Jamie Oliver recipe and just looked and sounded delicious. 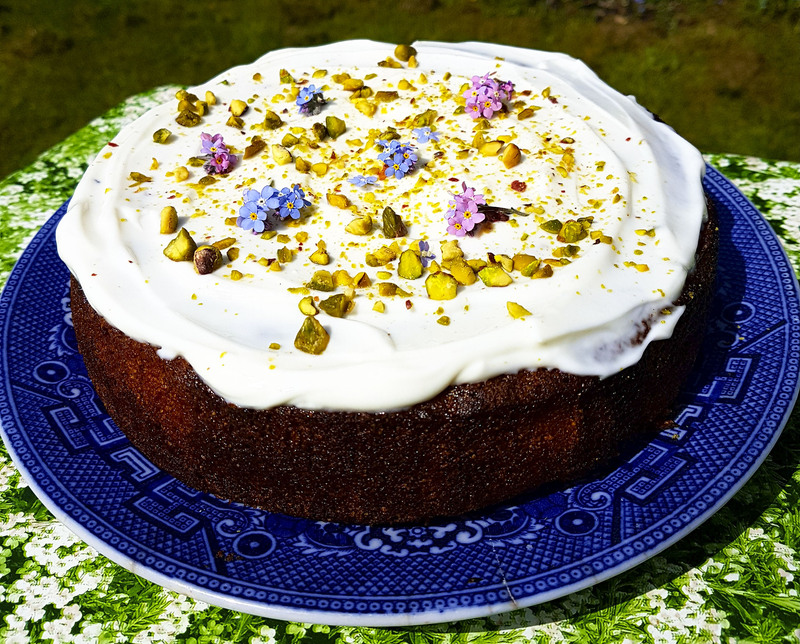 The combination of elderflower and pistachio sounded delicious, and it looked pretty too – perfect for a spring birthday. It is using polenta as a base and pouring the elderflower syrup over the top in much the same way as you would a lemon polenta or drizzle cake, or an italian dessert cake. The result was really tasty, it was in my daughters words ‘ scrumpdiddliumptious’. The polenta was fluffy and full of body and the pistachios sat perfectly within in, not being too hard or crunchy. The yoghurt topping too was a surprising marriage of sweet and tart which went perfectly with the cake. A topping I will most definitely use again. I’ve changed the recipe slightly as the comments on the original cake mentioned that the topping was too runny, so I played around with the quantities and the result was perfect. It went down a treat, the first servings were eaten so quickly and the kids just wanted more and more. A perfect gluten free cake, which at no point felt like that it was lacking in taste, flavour or texture. I’d love to know what your favourite spring time gluten free cakes are. Also please comment if you made this cake and how it turned out for you. I’d love to hear from you and see any pictures too. Please tag @eggainsthegrain on any Instagram, Facebook or Twitter post. Step 1 Preheat the oven to 180ºC/gas 4. Grease and line the base and sides of a 20cm springform cake tin. Step 2 Beat the butter and sugar until light and fluffy. Step 3 Roughly chop and add the pistachios, then mix in the almonds, polenta, baking powder and yoghurt until well combined. Step 4 Crack in the eggs, one by one, and mix in. Step 5 Add the lemon zest and juice, stir to combine and pour the mixture into the cake tin. Step 6 Bake for 45 to 50 minutes, or until a skewer comes out clean. Step 7 Remove from the oven and set aside while you make the syrup. Step 8 Place the cordial and honey in a saucepan over a medium heat and bring to the boil. Reduce the heat and simmer for 5 minutes till thickened. Taste and add a squeeze of lemon juice, if necessary. Step 9 Reserve 1 tablespoon of the syrup for the icing. Make a few holes in the warm cake with a skewer, then gently pour the remaining syrup over the cake. Step 10 Leave the cake to cool a little in the tin, then turn out onto a wire rack. Step 11 For the icing, mix the yoghurt, icing sugar and syrup until smooth. Step 12 Spread over the cooled cake and top with a handful of chopped pistachios, then serve.